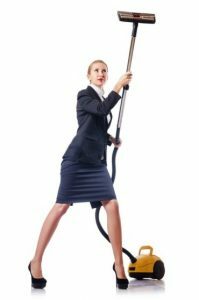 If you’re a busy business woman, a stay at home mum or even an entrepreneur trying to make a dent in this world there is always some need for help especially with those every day repetitive cleaning chores. Even though it’s something which we all want, these chores to be handed over to someone else, in many cases this is not considered an option not because someone cannot do it but, just because we think we can do everything by ourselves, thus not needing anyone. By this logic, many people start neglecting their own priorities to do some things which they don’t like at the same time hating the process and not doing a great job at it plus taking a lot of their time in the process. Imagine just how much time you have spent on chores which you didn’t want to do and what you could have done with that spent time and what you could have accomplished with it. In these situations, there are companies (like us Cleaning Gurus) which offer great cleaners for affordable pricing which can take over the chores that you don’t like to do and turn this into a positive experience for you. Imagine just relaxing with friends instead of doing the laundry or vacuuming? This logic also applies to companies. Instead of hiring someone to take over the cleaning and have an effective work environment they tend to hire in-house cleaners which turns out to be more expensive than taking on a company as they need to pay social care, holidays and health benefits. Hiring a company is the flip side of the coin, where they need only pay a weekly fee and they would get a professional service every time they need without any problems.